Something about the warm weather today really made inspired me to get dolled up. 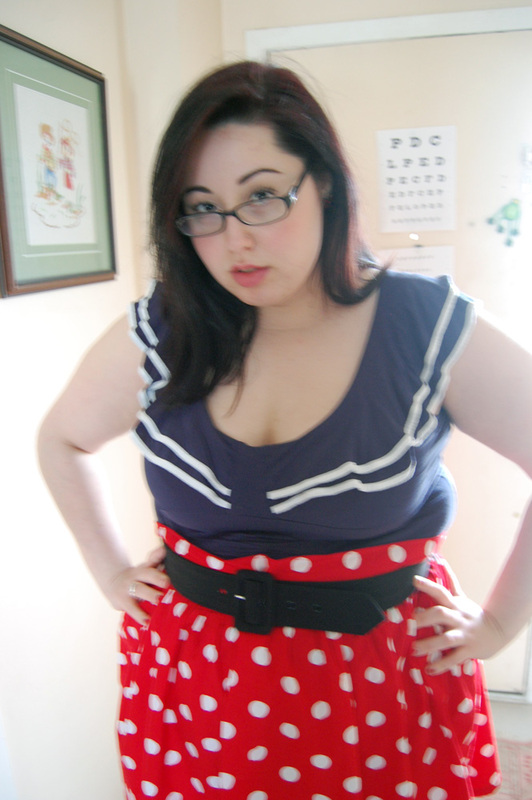 I’ve warn this outfit before briefly but I only had the chance to take crappy webcam photos. I feel really pretty and girly in this skirt. Its so flowy, light and it the print happens to be my absolutely favourite. I’m really beginning to embrace loose skirts and play around with colour. This summer, I want to make sure that I’m wearing vibrant colours and playing around with my style. I guess I don’t have to wear tight clothing all the time in order to feel like I’m showing off my figure. Super adorable! I love the polkadots!! Yay for spring! I don't know if I've mentioned this to you before, but you're a total babe. I love that shirt so so much! The skirt too!